Geilo is easily accessible by car, and there are daily train and bus connections from Oslo and Bergen. The closest airport is Leirin, at Fagernes. 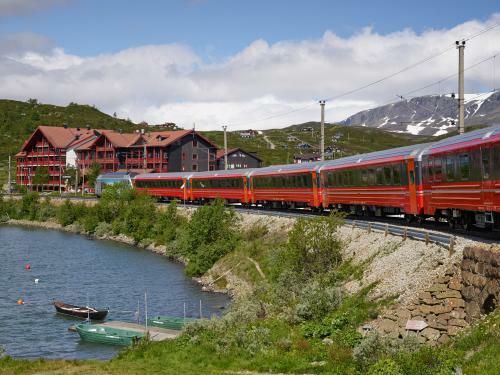 The train has 5-6 arrivals/departures per day to/from Geilo. You can purchase your ticket at the NSB ticket machines, by calling+47 815 00 888 or online. The ski train to Geilo, try our ski-ticket to Geilo. The Geilo ski-ticket is a flexible and reasonable product that includes: – Train travel round-trip Geilo – 1-, 2- or 3-day lift card at all the ski lifts in Geilo. See www.fjordtours.com. Every Thursday, Saturday and Sunday between 13th December 2018 and 14th April 2019. Book here. The airport bus between Hønefoss - Gardermoen. See Askeladden Reiser and transport. See Nettbuss NX 175 (Hallingbussen). 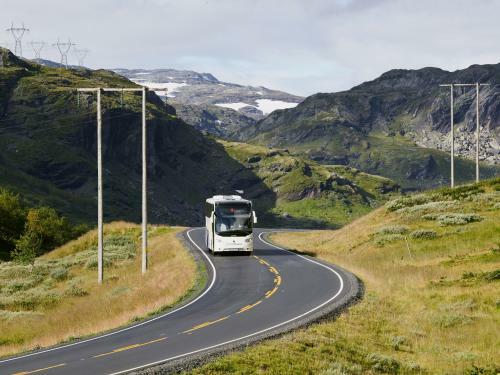 Bus from Geilo to Eidfjord-Kinsarvik-Odda (spring, summer, autumn). Etne and Jondal, and Route 991 Geilo-Odda). The shortest road between Oslo and Bergen is RV7, and right in the middle is Geilo. The RV7 over the Hardangervidda and along the Hardanger Fjord is a national tourist road. 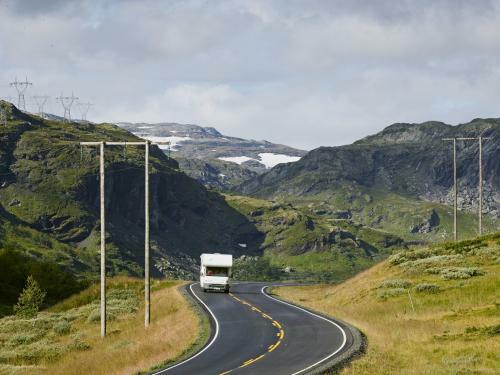 You can also get to Geilo via road RV50 over the mountain from west to east. The road goes through magnificent scenery between Aurland and Hol. From Hol, it is 10 km to Geilo. From Geilo, the FV40 road goes through Numedal, Kongsberg, Larvik, and on to Tønsberg and Sandefjord. For road warnings, and incidents check the Statens Vegvesen. For English please call phone no. 175 (from Norway) or +47 815 48 991. Oslo Airport Gardermoen, and then by bus, train or car. Flesland Airport Bergen, take the bus to Bergen city centre, and then by train. Color Line has routes to and from Denmark,Sweden, and Germany. See Colorline.no. DFDS Seaways har routes to and from Denmark. See DFDS.no. Stena Line has routes to and from Denmark. See Stenaline.no. Fjord Line haas routes to and from Denmark and Sweden. See Fjordline.com.